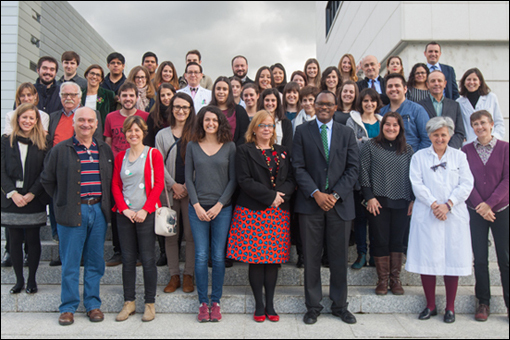 On April 21st, the CIMA –Center for Applied Medical Research of the University of Navarra -, hosted the III Tropical Health Symposium, which addressed the latest scientific advances in health and tropical diseases, especially in underserved diseases, which constitute one of the University main ways of research. Dr. Mª Concepción Gil, from Molecular Biology Dpt. at CerTest Biotec, gave a lectura entitled “Detection of emerging pathogens in tropical areas using Real Time PCR”, which reviewed the methods and technologies used by CerTest for the development of new product kits based on the DNA and RNA tropical pathogens amplification. The VIASURE brand includes detection kits for Zika, Dengue, Chikungunya and West Nile Viruses. This symposium was declared as “health interest” by the Department of Health from Government of Navarra.